Everyone loves Sephora, it's like Disney World for beauty gurus. You enter the store and makeup artists immediately welcome you with open arms offering to help you find any beauty essentials you may need. You're surrounded by beautiful bronzers, lippies, and all your skincare needs. Everything you desire is at your fingertips, what more is there to love? I'll tell you what. In addition to those lovely perks, Sephora is offering much more than a few beauty tips for gay pride month. But before we jump into what great things Sephora has in store, let me fill you in on the meaning of pride month itself. Pride month occurs during the month of June, dedicated to a positive stance against discrimination and violence toward the LGBTQ community. The month is filled with LGBTQ awareness, festivals, parades, and don't forget the endless late night functions at local gay bars. To expand the festivities lists above, pride month this year will be featuring beat faces courtesy of Sephora for “ Free 99” ! Yes, that's right! Sephora is offering courses to the transgender and non-binary community for no cost at all. 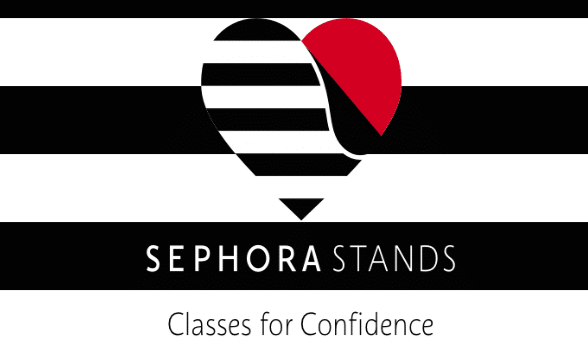 Sephora is taking customer service to the next level with 150 Sephora stores participating across the world as apart of their Classes for Confidence Program. Each course is a 90-minute hands-on beauty class dedicated to helping trans clients look and feel absolutely beautiful. The class will focus on conquering any beauty challenges they may face to help boost their confidence. To ensure no makeup lover is left behind, the courses are also be offered online for those who don't have a participating Sephora store in their area. Happy Pride Month to the LGBTQ community! May this month be filled with popping colorful eyeshadow palettes, and bold lips all courtesy of Sephora Cosmetics!